New start-up, Einride, recently participated as an exhibitor at the Goodwood Festival of Speed Future Lab, together with Roborace, Jetpack Aviation and others. The T-log was unveiled by Einride CEO Robert Falck and Charles Gordon-Lennox, the 11th Duke of Richmond, who has hosted the festival at his estate since 1993. 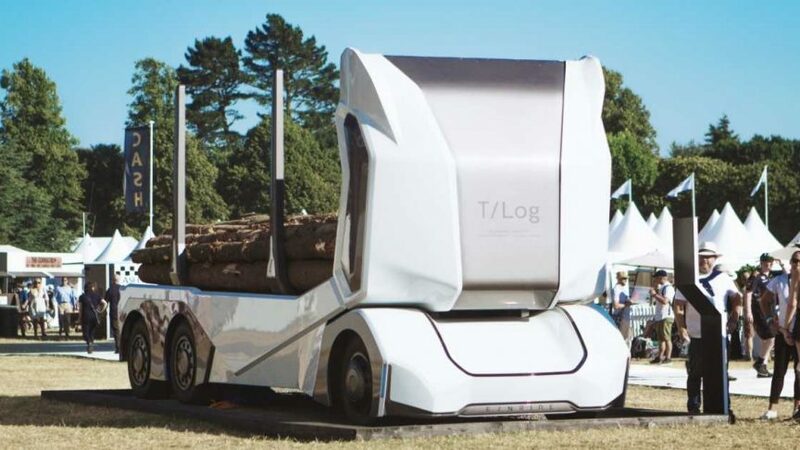 Showcasing the world’s first autonomous, all-electric logging truck, Einride was ”one of Future Lab’s less overtly glamorous but more thought-provoking exhibitors” according to the Daily Telegraph. In addition to the half a million or so visitors to the Festival of Speed, the launch reached a world-wide audience of many millions, being covered by Wire, VentureBeat, Engadget and more than 600 other publications in the US, Europe and Southeast Asia. TechCrunch has also listed its “top picks” for Disrupt San Francisco, September 5-7. Einride is the only Swedish company of 48 startups in total, and one of five companies in the Mobility category, to be selected and awarded with a free exhibition space at the prestigious event. This year’s Disrupt SF will be significantly bigger than last year’s, with three times the floor space, 1 200 exhibitors, 400 accredited media outlets and over 10 000 attendees. Among the speakers are Ashton Kutcher, Effie Epstein and Priscilla Chan.